The unexpected death of Mini-Jazz saxophonist, Tony Moïse, shook the government of Haiti. Provisional Culture Minister, Josette Darguste, expressed sentiments of many in the government at his passing. She said Tony Moïse was a national treasure, an inherent part of Haiti's music evolution. His participation in the Haitian music scene never ebbed, and his use of social networks, such as Facebook and Twitter, allowed him to continue reaching out to his fan base, keeping them up-to-date on his recording activities. Darguste continued praising Moïse as a talent, who would be a hard act to follow. As a result of his exit, the preservation of Mini-Jazz would be hindered, as he was its main exponent. 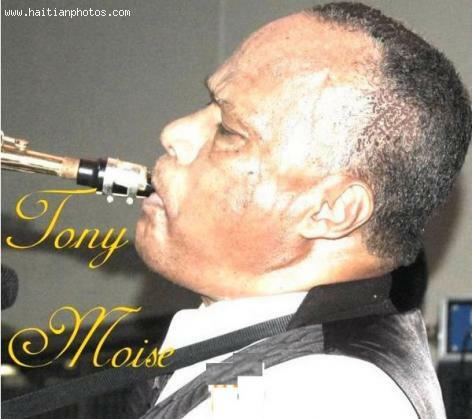 Tony Moïse was a native of Côtes-de-Fer, and studied classical music, once a student at Petion Louverture. He got his introduction to Compás music with Gerard Alvarez. He ended up becoming a saxophonist, learning musicianship in the process. During the Mini-Jazz movement, originating from Port-au-Prince neighborhoods, Moïse co-founded Manfoubin band, eventually becoming Shleu-Shleu. His songs have become Mini-Jazz classics: "Ti Carme", "Dans la Vie", "Partie de Chasse", "Maille", and "Devinez". He issued 24 LPs in 31 years and 9 CDs in a decade. His final recording was made in 2008, his last titled Souvenirs des Immortels. One of his most popular recordings was an LP, No Money, No Honey, made in 1990. Darguste, in her final remarks, gave the highest accolade to Moïse and Shleu-Shleu, saying, "And good music, we say, is timeless."